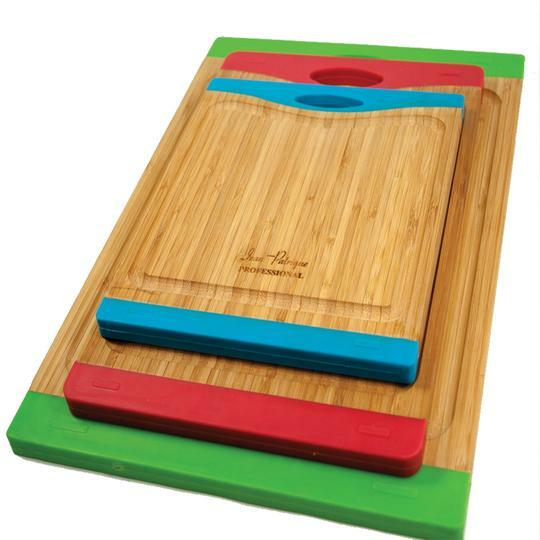 Intelligent, innovative and super-trendy, this colourful set of four chopping boards is every chef’s solution to food preparation safety! A simple, clever, colour coding system which can be distinguished at just a glance helps prevent cross-contamination of different food types: red for raw meat, blue for seafood, green for fruits & vegetables, and white for cooked foods. 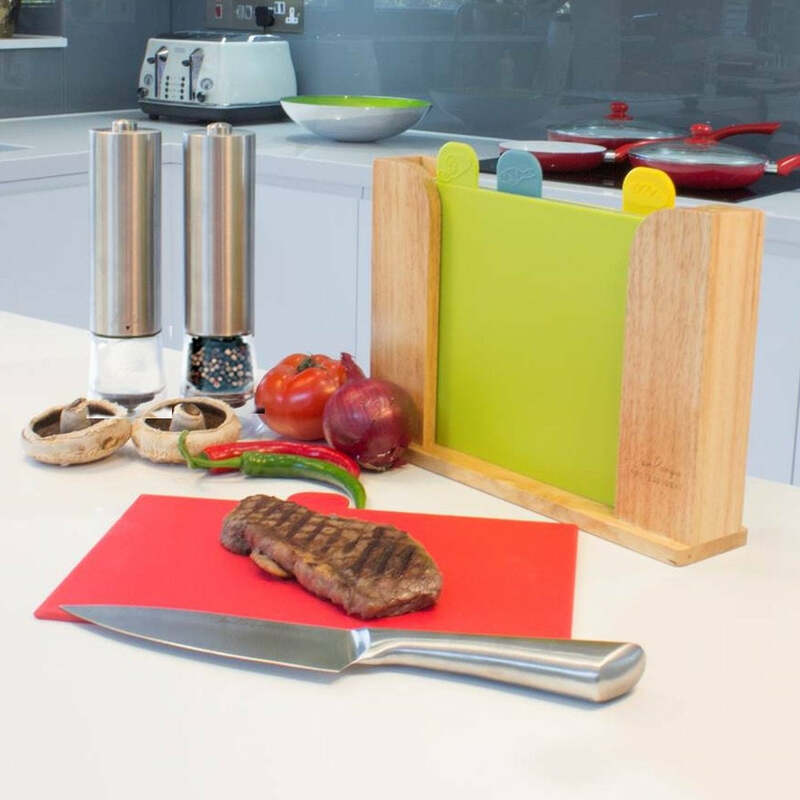 Each board has a symbol on its tab indicating its use which, when stored in the durable stylish perspex storage case, makes them highly visible and easily accessible – ideal for smart chefs with small workspaces! 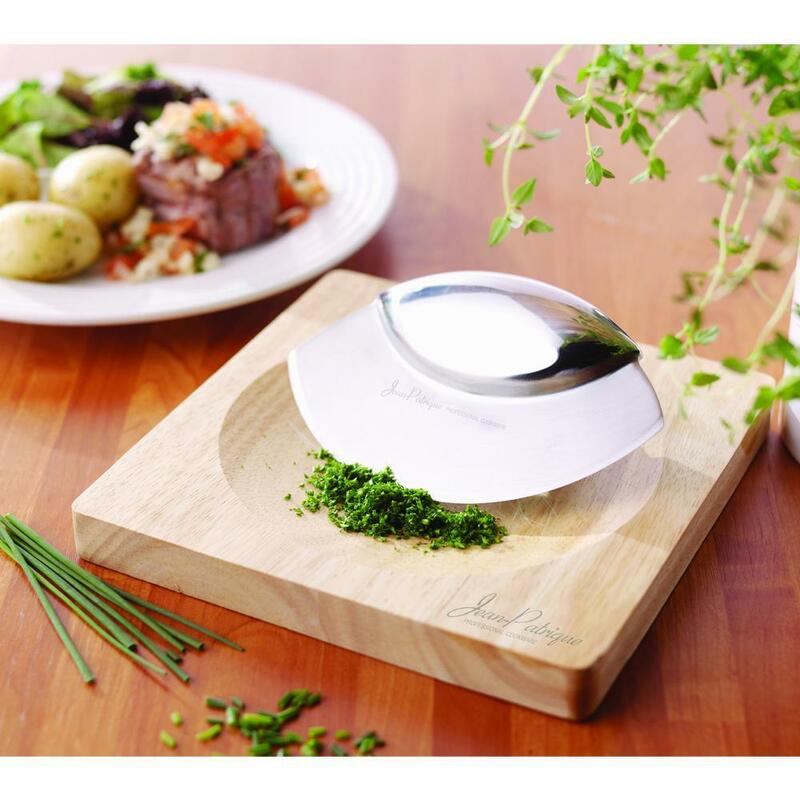 COMES WITH A STORAGE CASE – Our set of chopping boards comes with a durable stylish perspex storage case.